Seeking Arrangement is a highly specific niche site that allows younger people to search for sugar daddies and mommies. The concept is pretty simple — for an exchange of companionship, younger people get some financial support from the older ones. All in all, this is not the only platform that allows looking for sugar daddies, but it is definitely one of the safest ones. And, even though the concept may alienate certain users, Seeking Arrangement (seeking.com) has experienced a certain degree of popularity since its launch in 2006. The vast majority of site users are men (65%), with only 35% of women. Even though anyone who reaches 18 can join, most sugar babies are university students, which is not surprising given the site concept. Seeking Arrangement boasts an impressive audience — this platform gets about 11 million visits a month, and despite its seemingly unusual concept, these visits come from all corners of the globe. The US is also pretty active — a total of 2.5 million users come from the United States. Seeking Arrangement has about 10 thousands active users each month, which is a very impressive number for this niche. The registration process is a bit longer than average, but on the upside — it’s easy and intuitive. For starters, users choose if they would like to open a sugar baby or a sugar daddy/mommy account. After that, users are asked a number of questions about their dating preferences, and that includes their budget expectations. So, sugar daddies/mommies state how much money they expect to spend on their sugar babies, and sugar babies state how much money per month they expect to get. Once again, this concept may seem unsettling for users who come across Seeking Arrangement by chance and got it confused with a mainstream dating site. But, the registration process makes this issue pretty clear — Seeking Arrangement is not a general dating platform, and it does have its strings attached. On the whole, the sign-up process may take from five to ten minutes. Right after a new user fills in all the necessary info, he/she gets immediate match results. All messages on Seeking Arrangement are free of charge. When new users join, they can make the most of internal search system, which is based on advanced and detailed algorithms. In Seeking Arrangement search-box, users can specify pretty much any details that come to mind. Given how extensive the search parameters are, some users get confused at first, but one thing is certain — the system does make it incredibly simple to look for people with similar goals, intentions, and interests. Search filters allow users to access all public profiles and message them for free. Also, there is an ‘add to favorites’ option that kind of bookmarks other users’ profiles so you could reach out to them later. The same function allows you to show interest in certain users — they will be notified when someone adds their profile to favorites. Apart from messages, all users can make use of a chat room. Plus, it’s always possible to search for people who are currently online. All in all, Seeking Arrangement profiles are very detailed. Even though users do not have to fill in too much personal information when they register, there are plenty of additional text boxes that can be filled (and, if necessary, modified) later. The boxes are optional, but most members take time to fill them in because Seeking Arrangement gives detailed profiles more visibility. Also, information available in user profiles, pictures included, can be seen by all other site members. There is an option of making a profile private — in that case, other users will have to ask for permission to view a private profile. It is not necessary to make an entire profile private, though — users can choose which parts of their accounts are private and which are public. The same goes for photo galleries — members can have both private and public photo folders. 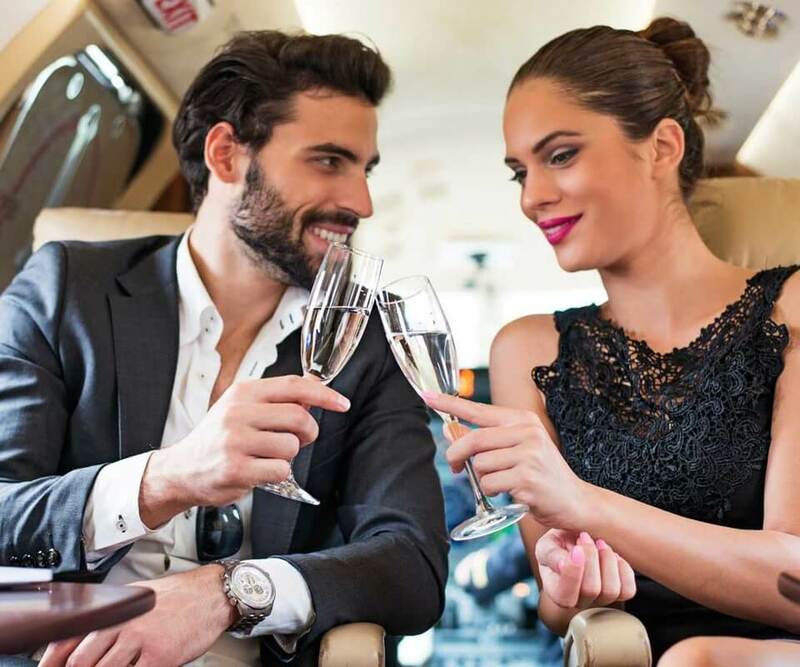 However, Seeking Arrangement does not go into any precautions when it comes to verifying profile authenticity, which is why some sugar babies’ profiles are fake. So, sugar mommies and daddies are to exercise reasonable caution when they communicate and, especially if they are asked to send the money directly — before even the two of you get a chance to meet. Any suspicious profile activity is to be reported, though — this way, the administration works to reduce the number of fake profiles. Seeking Arrangement has a mobile app that takes into account both younger and older users. Since most of the sugar sponsors are in their fifties and even sixties, the navigation is very simple, and all the fonts and icons are large. The app runs on both iOS and Android and does not cost extra to use. Seeking Arrangement app functionality is not that different from a desktop version. The only improvement is that considers your current location by default — so you will not have to search for other users by ZIP code/location. Design and navigation of both desktop and mobile versions may look a bit boring, but here SeekingArrangement focuses on the older audience who may not be as tech-savvy as sugar babies. Their emphasis is on functionality and ease of navigation, not on sleek design perks. Saving notes about other users: this one helps sugar babies make notes about sponsors that catch their eye. All in all, a premium version has some perks both for the babies and the parents. However, even though a premium account does make site experience more rewarding, it’s great that a free membership is also usable. Another big perk is that a premium version will not cost that much — a monthly subscription costs $19.95. Three-month of premium membership cost $44.85, which reduces the monthly cost to $14.95. And finally, if you pay for a six-month subscription, one month will only cost you $9.95. So, we can safely state that SeekingArrangement services cost less than average in the market. Finally, there are several payment options available — the standard credits cards and PayPal; and, topping the account from your mobile balance. Another perk of paying for Seeking Arrangement services is that each credit card is billed discreetly. There is no mention of Seeking Arrangement, and any statement will have either a W8TECH or a 2BUYSAFE code. Sugar babies should note, however, that only emails that end with .edu qualify for premium memberships. Simply put, they’ll have to use their school email. This platform takes great care in keeping their users not only properly entrained but also safe. On top of free and paid services, it offers two more features that deserve mention. This internal blog features plenty of essential info about sugar dating in general and online sugar dating in particular. This section offers users tips on how they can find new prospects and how they can keep their accounts (and their pockets) safe. Plus, it gives valuable info about any networking events organized by the company, so that interested users can attend and find a match the old-fashioned way. Diamond accounts are essentially VIP memberships. They do not feature any additional functions and do not cost extra. Diamond status is given to all parents who’ve spent a certain amount of time and money on the website. So, this is a more of a ‘show-off’ perk, but it’s still a nice one in our opinion. This way, it gets way easier to spot active old-time users. Is Seeking Arrangement even legal or does it promote prostitution in secret? Yes, it is legal and no — it does not promote prostitution. While the concept may seem unusual to some people, sugar dating has been a trend for a while, and there is nothing illegal about it. Two people of full legal age get a chance to settle their own private affairs. In this case scenario, the older ‘parent’ pays a monthly allowance and sends gifts to the ‘baby.’ No one is being charged on a per-meeting basis, so prostitution has nothing to do with that. While pretty far from the traditional approach, sugar dating is not only legal but also fair and square. Can you use the site without paying? Yes. The site is 100% functional and offers all necessary communication means. Free users will see the ads and will not be able to make use of some extra features, but on the whole, free memberships are totally usable and even effective. Are there any more sites that deal with sugar dating? Yes and no. On the whole, the concept is not new, and anyone can start this relationship type on a mainstream dating platform. What Seeking Arrangement offers, however, is a totally unique user experience where all users state explicitly why they’re here. It’s simpler, more honest and gives members a chance to jump straight to the point. Is Seeking Arrangement safe to use? The concept of this platform may be unique, but when it comes to safety, no one is 100% protected from the scam — especially when money is involved. So, sugar parents should stay reasonably cautious. For starters, they should not disclose any financial info (credit card numbers, etc.) to other users. Then, they should think twice before they ‘adopt’ a sugar baby. Ideally, older users should take time to see if the profile is true-to-life. Absolutely yes. Seeking Arrangement does not mention its name when billing users credit card and allows (actually even, encourages) members to use nicknames instead of real names. Plus, paid users can choose which info is public on the site and which one remains private — not unlike social media. 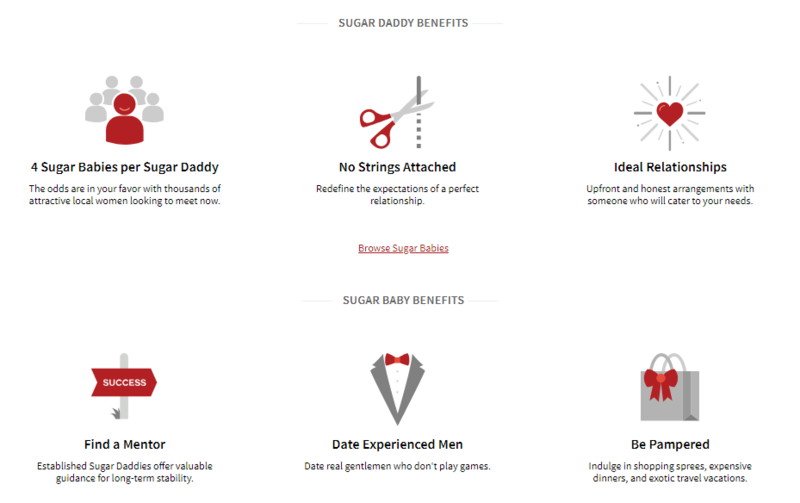 Bottom line, the site is fully legitimate even though sugar dating, in general, is associated with some ethical issues. If however, you know that sugar dating is your cup of tea, this is one of the best dating platforms to get started. It’s open-minded, secure, and reserved for users who share your views on a relationship.